This book reviews modern computer networks with a particular focus on performance and quality of service. 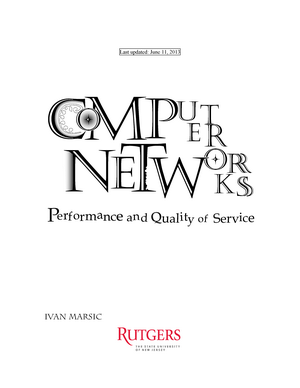 Ivan Marsic wrote:This book reviews modern computer networks with a particular focus on performance and quality of service. There is a need to look towards future, where wired and wireless/mobile networks will be mixed and where multimedia applications will play greater role. In reviewing these technologies, I put emphasis on underlying principles and core concepts, rather than meticulousness or completeness. This book is designed for upper-division undergraduate and graduate courses in computer networking. It is intended primarily for learning, rather than reference. I also believe that the book’s focus on basic concepts should be appealing to practitioners interested in the “whys” behind the commonly encountered networking technologies. I assume that the readers will have basic knowledge of probability and statistics, which are reviewed in the Appendix. Most concepts do not require mathematical sophistication beyond a first undergraduate course. Most of us have a deep desire to understand logical cause-effect relationships in our world. However, some topics are either inherently difficult or poorly explained and they turn us off. I tried to write a computer networking book for the rest of us, one that has a light touch but is still substantial. I tried to present a serious material in a fun way so the reader may have fun and learn something nontrivial. I do not promise that it will be easy, but I hope it will be worth your effort. 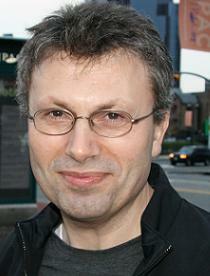 Ivan Marsic is a Professor in the Department of Electrical and Computer Engineering at Rutgers, The State University of New Jersey. His research interests include Engineering Complex Collaborative Systems, Wireless Mobile and Sensor Networks and QoS, Multimodal Human-Computer Interfaces, and Visual Attention and Image Processing.